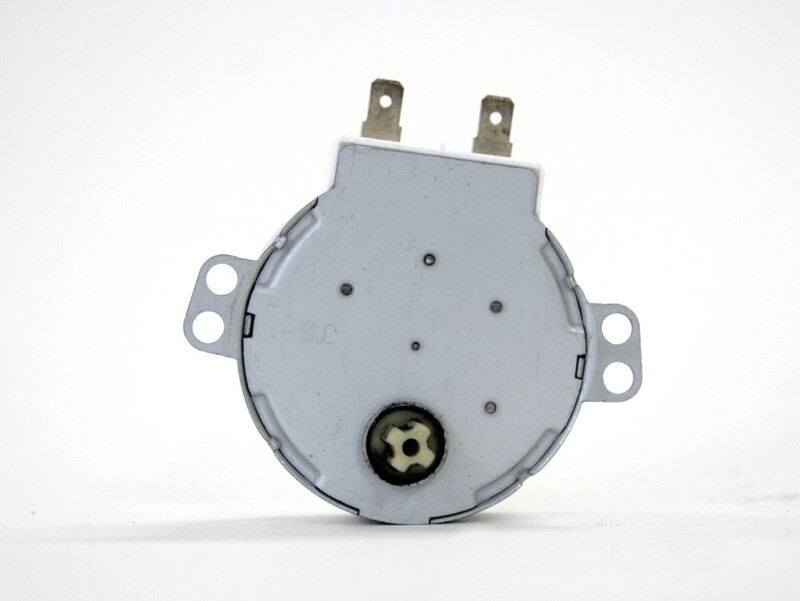 Turntable motor for Sharp microwave ovens. Drive shaft diameter = 7 mm with a "+" shaped section. This turntable motor is equivalent to the following Sharp types: RMOTDA227WRE0, RMOTDA165WRE0, RMOTDA239WRE0, RMOTDA265WRZ1.